Feathers from poultry and game birds consist of about 90% protein by weight and contain approximately 15% Nitrogen. They can be home composted and are classified as a “Green”. The protein is in the form of keratin which is fibrous, insoluble and resistant to biodegradation, meaning that the nitrogen will not be available as a nitrogen source to plants without the keratinolytic activity of microorganisms. This is not a problem for the home composter as these microbes are widely distributed in the environment including the soil and some of them will be found in the composting material already in the bin. There is an obvious appeal in composting feathers for those who keep home or backyard poultry as there will be regular supply as they moult. 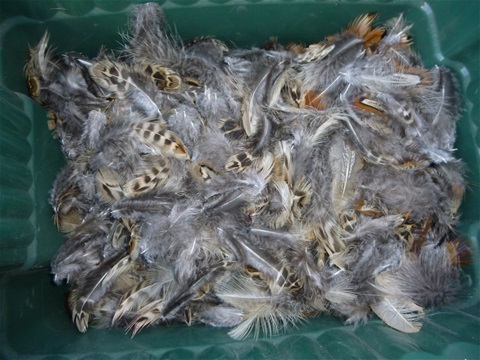 Those who shoot or beat for game birds will also have a regular need to dispose of feathers during the shooting season. In addition, there may be a less regular source of feathers from old down or feather pillows and cushions. 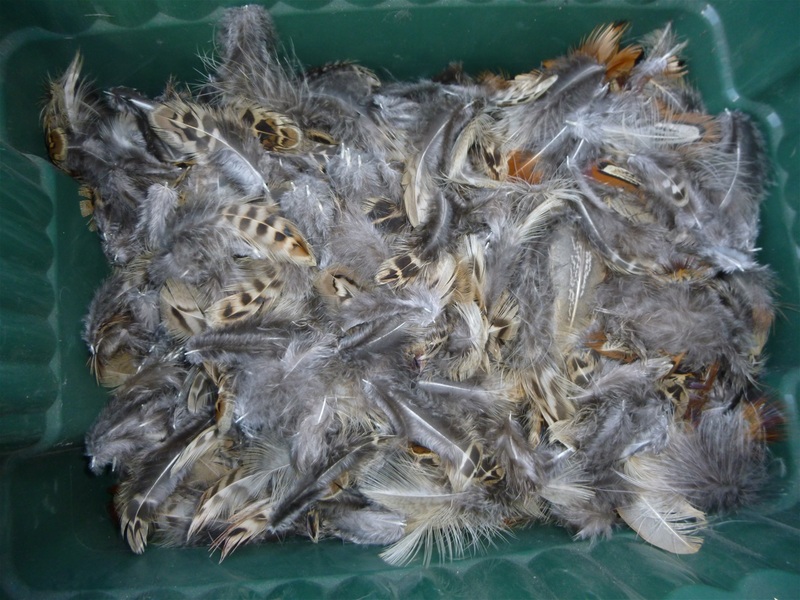 In a domestic compost bin bird feathers will break down within just a few months if mixed into an active compost bin with a good carbon source. The sawdust or wood shavings from the hen house, manured by the bird droppings, is ideal but other browns such as sawdust, wood chips and wood shavings will also act as a bulking agent to maintain the air flow into the within the bin pile while helping to maintain the temperature and prevent excessive heat loss.